Julie Campbell Doll Artist: Cover Girl ! 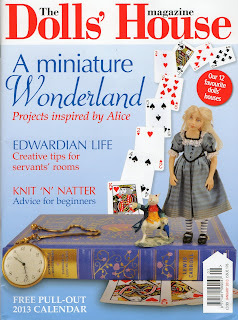 I was delighted to help when the editor of The Dolls House Magazine contacted me to ask if I could make an Alice doll to be featured on the cover of the January issue of the magazine. Alice in Wonderland is one of my favourite books and I have used the characters in it for inspiration many times so it was a real pleasure to make a new Alice doll. We decided to this Alice would be just a little different from the usual Alice and for once I didnt add a white pinafore to her outfit. Instead I used striped silk and trimmed it with tiny black buttons and fairy lace which I think looks rather striking ! Her mary jane shoes have a little height from platform soles but in my mind Alice is never complete without striped stockings so of course I couldnt resist adding these ! 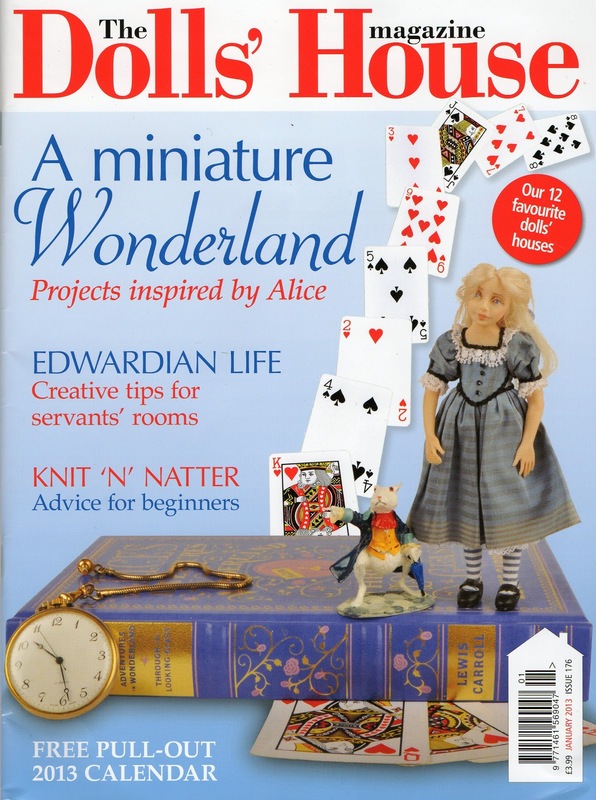 I was thrilled when the magazine dropped through my letterbox yesterday, it is a wonderful issue. I think the cover looks just perfect and Alice pops up a few more times on the inside too !